The Daily Commute In nearly every large city in the world people are treated to a vision like the one in this picture. If consumers demanded that new cars be 50% more fuel efficient, city air would be much healthier to breathe. If cities maintained efficient mass transit systems and if those who lived near public transportation took the bus or subway instead of driving, the morning commute would be a breeze! You don’t know that one? How about this? “Oh Lord, won’t you buy me a Mercedes Benz?” No? Well you probably know some car song. After all, people in the United States drive trillions of miles in cars every year. It comes to about 12,000 miles a year for each person. And look out, the number of cars and the distance traveled grows greater each year. About a quarter of the carbon dioxide from burning fossil fuels in the United States comes out the tail pipes of cars. One tankful of gasoline produces hundreds of pounds of carbon dioxide, which increases our planet’s susceptibility to global warming. This is not to mention the carbon monoxide, nitrous oxide, and hydrocarbons that pollute the air. The good news is, except for carbon dioxide, newer cars are producing far fewer pollutants per gallon of gas. New cars go farther on a gallon of gasoline too. The bad news is more people are buying trucks and vans so the overall gas mileage in the United States is going down. 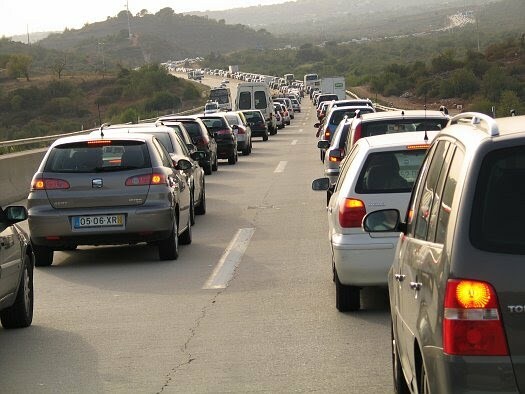 People are driving their vehicles more miles each year, and there are more vehicles on the road—about half a billion cars and trucks worldwide. With the approximate 5% growth in the number of new motor vehicles each year, by 2030 there will be a billion cars and trucks operating in the world. I. The Car--What's Really Going On? In our study of global systems science, we think of our planet in terms of a collection of interconnected subsystems: life in ecosystems, weather and climate systems, systems of ocean currents, and the geological system of Earth’s crust. A car, like the Earth, is a collection of interconnected subsystems; the electrical system, the fuel system, the exhaust system, the braking system. All the systems are important for the safety and performance of the car. The details can critically affect the environmental impact of a car. Before we go into the details let’s look at the main sequence of energy transformations that make a car run. It is exactly the same sequence of energy transformations that occurs in fossil fuel power plants, but in the plants, the work was used to turn a generator instead of push a car along. Look again at the cycle of steam in a power plant on page 33. Its four main parts are its pump, its boiler, its turbine, and its condenser. It would be silly to put this system on wheels and call it a car, but many of the same principles that make it work apply to a car. Instead of using steam to push the blades of a turbine, a gasoline engine uses hot gases to push a piston. The hot gases are the result of the combustion of gasoline. The gasoline burns in the cylinder, which is the same chamber that holds the piston. Since combustion happens inside the cylinder, and not in an external boiler, this type of engine is called an internal combustion engine. “Why jump on me about it? There’s no harm in having the lights on. Is there? The power to run the headlights comes from the battery. The battery is charged by the generator. The generator is turned by the engine. The disagreement concerns whether the engine must use more gasoline per mile when the lights are on than when they are off. In this case, the passenger is right. The generator must produce electricity to power the spark plugs, and also keep the battery charged. When the lights are on, there is a greater load on the generator, so there is a greater load on the engine. As the engine works harder it burns more gasoline per mile. This is true when the headlights are on, when the air conditioning is on, or when any other electric device is on. The heater in a car uses waste heat from the engine. The only load that the heater puts on the electrical system is from the fans that blow the warm air into the car. There are many things automotive engineers can do to design cars that use fuel more efficiently and pollute less. They can make cars lighter. They can make them run at a higher temperature and find better ways to cool the exhaust. They can increase the amount of chemical energy in gasoline, and remove the most toxic gases from the exhaust. But the one thing they cannot control is how you drive your car. There are three very simple reasons for every driver to drive in an energy efficient manner: (a) to reduce air pollutants that affect us all; (b) to save money in fuel, and (c) reduce car maintenance costs. There are many things a driver can do to increase fuel efficiency, conserve energy, and save money. As you drive, you are manipulating at least four types of energy: electrical, chemical, mechanical (motion), and thermal (heat). Here is a list of events that occur in the car. Each one is an energy transformation. How fast you go dramatically affects air friction. Air resistance is proportional to the 4th power of your car’s speed. That means if you double your speed, your air friction doesn’t just increase by a factor of two, it increases by a factor of 16. (24 = 2 x 2 x 2 x 2 = 16). This is especially noticeable at freeway speeds where for each 10 miles per hour faster you go there is a substantial increase in fuel needed. During the 1973 energy crisis, President Gerald Ford instituted the 55 mile per hour speed limit. Its intent was to save fuel so the United States would not depend so much on foreign oil. Over the years the 55 miles-an-hour speed limit resulted in substantial savings in the cost of driving, reduced air pollution, and saved thousands of lives in speeding fatalities each year. In many states, however, lawmakers raised the speed limit, deciding that extra speed is worth the extra costs, especially since many motorists ignored the lower speed limit anyhow. At freeway speeds, more than half of engine power goes to overcoming aerodynamic drag. Don't carry things on top of your vehicle when you don't need to. Air pressure in your tires affect friction with the pavement. Driving with low air pressure in your tires can dramatically reduce fuel efficiency. A soft tire flexes under the weight of the car so there is more tire on the road and thus more friction. As the wheel turns, the rubber bends back and forth rapidly. This heats the rubber and you use gasoline just to make the tires hot! Buy tires with lower rolling resistance. Tire technology is changing and better tires can save energy. A well-lubricated car has less internal friction. Replacing the oil and oil filter regularly increases fuel efficiency by minimizing internal friction in the engine. It will also prevent your engine from wearing out as quickly. A well-tuned car burns gas more efficiently and saves fuel. Continual stopping and going is one of the most important factors in how much fuel you use. It is much more important than air friction, since your speed is not very high. Acceleration uses up huge amounts of energy and deceleration generally loses energy through heating of the brakes. Every time a vehicle comes to a stop, all its energy of motion is converted into heating the brakes, unless you have regenerative braking in an electric car or hybrid, in which case a portion of the energy is stored again in batteries. Many city streets have traffic lights that are timed precisely so drivers who travel slightly under the speed limit will never encounter a red light. If you are approaching a red light, there is no need to get there any faster. In fact, by speeding up to a stop light, you waste energy in braking as well as acceleration needed to start up again from a dead stop. If you are driving on a street with a lot of stop signs, there is an optimal level of acceleration, cruising, and braking that will make the most efficient use of fuel. Avoid hard acceleration and hard braking. A general rule for saving energy is to drive smoothly. Don't idle the engine for more than about 30 seconds. If you anticipate sitting still for longer time periods, turn of the engine. A great energy-saving feature of hybrids and electric cars is that they use no energy when sitting still. What do you keep in the trunk or the rear storage compartment? If you use your car or truck to store heavy items you will pay for it by using extra gas going uphill, and by putting extra wear on your brakes going downhill. Plan trips efficiently with multiple errands. An efficent plan for running errands and shopping can save energy by minimizing the total number of miles traveled. Also engines run most efficiently when they are warm, so the fewer times you let the engine get cold and start up again, the better, keeping in mind that it can take a few hours for an engine to really cool down. What Kind of Car Will You Buy? The heavier the car, the more gas it guzzles. The more powerful the engine, the more gas it guzzles. Older cars tend to guzzle more gas. Some people buy large, heavier cars because of the protection they give in an accident. Some small car drivers say their cars are more maneuverable than heavier cars, and so their small cars can more easily avoid accidents. Most fatalities in car accidents are in midsize cars rather than small or large cars. Improved seat belts, air bags, anti-lock brakes, and other technology make new cars of all sizes safer than older cars. If you are looking for safety, you are in luck. The driving habits that save fuel are also the driving habits that help avoid accidents. Some drivers get great pleasure from the feel of a very powerful machine in their control. The more powerful, the better the feel. Some of those drivers may not have the slightest desire to save on fuel. However, when fossil fuel gets scarcer, its price will go up. Car buyers may become more willing to sacrifice engine power by the time the cost of gasoline gets above $4.00 per gallon as it already is in much of the world. Major manufacturers are now producing electric cars and hybrid electric cars and people are starting to buy them. It is difficult to compare the efficiency of electric cars with gasoline cars, but in general, electric cars can be several times more efficient than gasoline cars. In addition, their electric motors are much simpler than gasoline engines and require far less maintenance. On the down side, most electric cars do not yet have the distance range that gasoline cars have. They need to be recharged more frequently than a gasoline car needs to be refueled, but they can be charged at home—no need to go to a gas station. More and more people are buying an electric car as a "second car." But in many cases, they are finding that it becomes their first car—the one they most use—since the electric car is so much more efficient and most people do not need to drive more than 80 miles on most days anyway. As one electric car owner said, "Electric cars are not for everyone. They can only satisfy 95% of most people's needs." Which of the following practices do you think saves the most fuel? Why? a. Stomping on the gas pedal for maximum quick start. c. Accelerate as slowly as possible. a. Race up to each red light; come to a dead stop, and then accelerate to the next red light. b. Find the right speed (at or below the speed limit) to “time the lights” so that you rarely need to brake at all. a. Accelerate almost all the way up to a stop sign and then brake very hard in the last few yards. b. Accelerate moderately, cruise at a constant speed, and leave plenty of distance to make a safe, gradual stop. 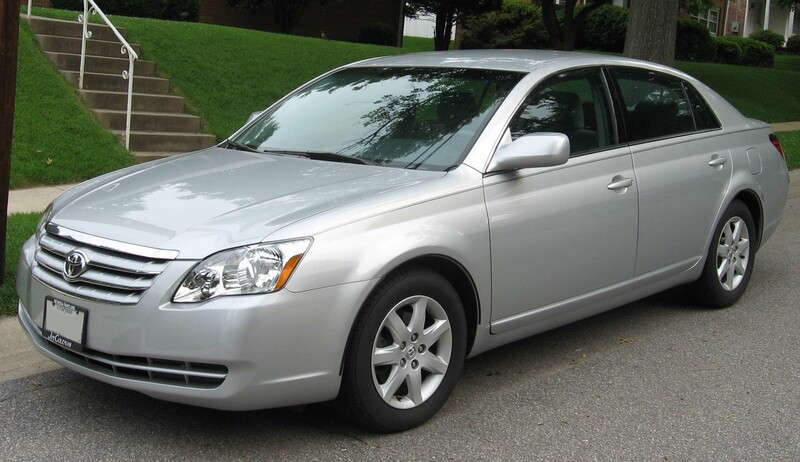 How does a large car affect the safety of other cars and people involved in the accident? What would you look for in a car? It is very unlikely that we will be able to totally eliminate fuel-burning vehicles in the near future. However, a far-reaching solution is being tested in states with serious smog problems, such as California, is to encourage development of automobiles that can burn alternatives to gasoline and diesel fuel. One strategy is to make cars that run on lightweight fuels such as propane or natural gas (methane). Unlike gasoline, which is liquid at normal atmospheric pressure, propane and methane are gases. Therefore, a car with a tank full of natural gas won’t go very far unless the gas is pressurized to turn it into a liquid. Even more fuel can be stored in a “thermos” tank that can store natural gas that has been cooled until it is a liquid. The disadvantage of this alternative fuel is that it is still a fossil fuel. As with all fossil fuels, it releases carbon dioxide, contributing to global warming. 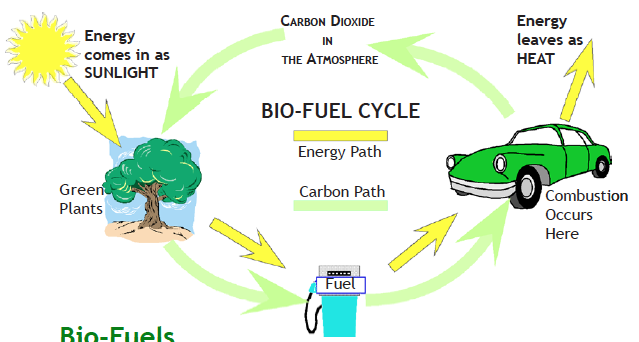 The Bio-Fuel Cycle Compare this diagram with the diagram of the fossil fuel cycle on page 23. It seems only the title is different. There are important differences that the diagram does not show. The bio-fuel pump provides ethanol or methanol instead of gasoline. In the fossil fuel cycle the transition from energy-rich plant material to fuel involves natural geological processes that take millions of years. In the bio-fuel cycle the transition is done on a short time scale. When biofuels are renewed at the same rate as they are burned, they cause no build up of carbon dioxide in the atmosphere. It is possible to convert many types of organic materials into usable bio-fuels such as alcohol, methane, and hydrogen. Suitable organic materials include farm crops, aquaculture farm products, wood, and garbage. Fuels can be made by heating the organic materials or by treating them with microorganisms. Unlike fossil fuels which can be used up, bio-fuels are a part of a renewable energy cycle. Plants use sunlight and CO2 from the air to produce energy and grow new tissue. Dead plants are converted to alcohol. When the alcohol is burned, CO2 returns to the atmosphere. The bio-fuel cycle does not increase or decrease the amount of CO2 in the atmosphere as long as new plant growth is established as a source for the fuel. Alcohol synthesized from farm crops is now being marketed as a fuel to run automobiles using a mixture of gasoline and alcohol known as gasohol. Vehicles can even run on pure methanol, the simplest type of alcohol. In 1990, engineering students from the University of California, Davis, set a world record for fuel efficiency in an alcohol-powered vehicle. 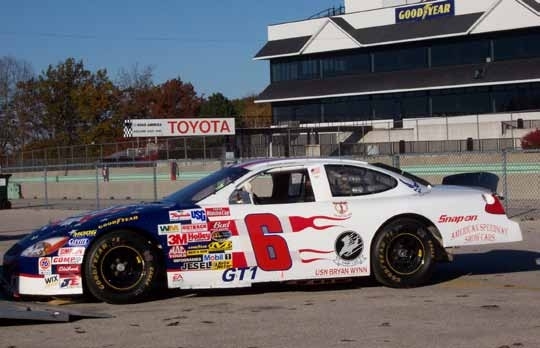 In four laps of a 1.75 mile track, their 2-horsepower vehicle, named “Shamu,” consumed so little methanol that the fuel efficiency was 2,083 miles per gallon. However, in the same competition, a gasoline-powered vehicle achieved 3,313 miles per gallon. The difference is due to the fact that gasoline has more energy per unit volume than methanol. That test highlighted a disadvantage of bio-fuels—as they are less efficient than gasoline—you need more bio-fuel than gasoline to go the same distance. See also: WVO Designs wiki on Biodiesel—Waste Vegetable Oil as a fuel [http://www.wvodesigns.com/wiki/Biodiesel]. There is increasing support for the use of hydrogen as a fuel for applications ranging from cars, trucks, and trains to heating air and water for buildings. Some people envision a system in which hydrogen, rather than fossil fuels, provides the most common form of energy transfer. Pound for pound, hydrogen is the most energetic of all fuels—2.5 times more powerful than gasoline. Furthermore, it is very clean-burning. Its only by-product is water. Hydrogen fuel can be produced from water, in a process called electrolysis. In electrolysis, electricity breaks the bonds of water molecules to produce hydrogen and oxygen gas. Regions with a source of inexpensive electrical energy—such as hydroelectric, geothermal, solar, or wind—might produce hydrogen fuel for export to regions that are energy poor. Electrolysis is described in the following equation. The use of hydrogen as a fuel is not new. In the 1930s, German engineers, short on gasoline, used hydrogen to fuel vehicles from submarines to zeppelins. Today, hydrogen’s invisible flame powers the thundering main thrusters that lift NASA Space Shuttles into orbit. The main barriers to implementing hydrogen energy systems are (1) conversion of existing systems (vehicles and gas stations, and production facilities) to hydrogen and (2) perfecting safe storage vessels. While pound for pound hydrogen is more energetic than gasoline, it takes up considerably more volume because at room temperature it is a gas. Researchers are looking for practical ways to store hydrogen gas on vehicles. Automobile transportation has relied almost entirely on gasoline and diesel fuel throughout most of its history. Fleets of electric buses have operated and more recently personal electric cars are becoming a more common sight on the highways. Cars powered by electric motors and banks of storage batteries could largely replace conventional cars and vans. The storage batteries used for cars are a far cry from the batteries we use to light up flashlights and keep our portable CD players and cell phones running. But the principle by which they work is similar. •	They are extremely quiet. • They have very few moving parts and so have low maintenance costs. In contrast, internal combustion engines have hundreds of moving parts. • Their range is optimal for most commuters. Battery recharging can occur overnight when electric power costs are low. •	They emit no air pollution and no carbon dioxide. The recharging process requires electricity and, of course, most electrical production pollutes. However, the conversion of energy in a fossil fuel power plant is more efficient than the conversion of energy in a car, so the use of fossil fuels would be somewhat reduced. More importantly, batteries can be charged by various nonpolluting renewable electric power sources such as solar, wind, and geothermal. The main disadvantage of electric powered cars is their limited range. They are unsuitable for long cross-country trips. The main culprit here is the heavy weight of the batteries and the several hours it takes to recharge the batteries when they are drained of energy. As battery technology improves and battery weight is reduced, electric vehicle range and speed will improve accordingly. Some day hydrogen-powered fuel cells may replace rechargeable batteries in electric cars, and along with a hydrogen refueling network, long-distance hydrogen powered trips would be possible. AC Transit's Emeryville CA Hydrogen Fueling Station fuels both cars and buses using, in part, hydrogen generated from solar power. From March 2006 through mid-2012, AC Transit operated three fuel cell buses, logging over 550,000 miles and carrying over 1.8 million passengers, all while achieving significantly greater overall energy efficiency than diesel buses. Daily it produces 65 kilograms of hydrogen from solar energy, which is sufficient to fuel between two and three buses daily (each bus consuming between 22 and 28 kg/day, depending on their particular route). The remainder of the 12 fuel cell buses in the fleet are fueled with vaporized liquid hydrogen produced from methane (natural gas), which still reduces overall greenhouse gas emissions by 43% compared to a diesel bus in the fleet. For more information and some video clips about this fuel cell bus project, visit the AC Transit HyRoad web page. Photo ©2012 by Frank Tapia. When fuel combusts the result is exhaust and heat. Why always heat? Why not some other form of energy? Like electricity? In a battery, chemical energy is transformed to electricity and when the energy is drained, it must either be recharged or thrown away. A fuel cell is very much like a battery except it is not recharged or thrown away. It is refueled. Although the concept goes back more than 150 years, fuel cells never were used for practical purposes until they were put into manned space craft such as the Space Shuttle. Fuel cells can convert alcohol, natural gas, or hydrogen to electricity. Hydrogen is the most clean of all fuels for a fuel cell because it produces only water and electricity—no carbon dioxide or other pollutants. Fuel cell buses are clean, quiet, electrically propelled vehicles that emit only water vapor from the tailpipe. Since 2000 Alameda-Contra Costa Transit District (AC Transit) in California has been building a comprehensive hydrogen fuel cell demonstration program featuring zero-emission electric hydrogen fuel cell buses with on-site hydrogen production and fueling. 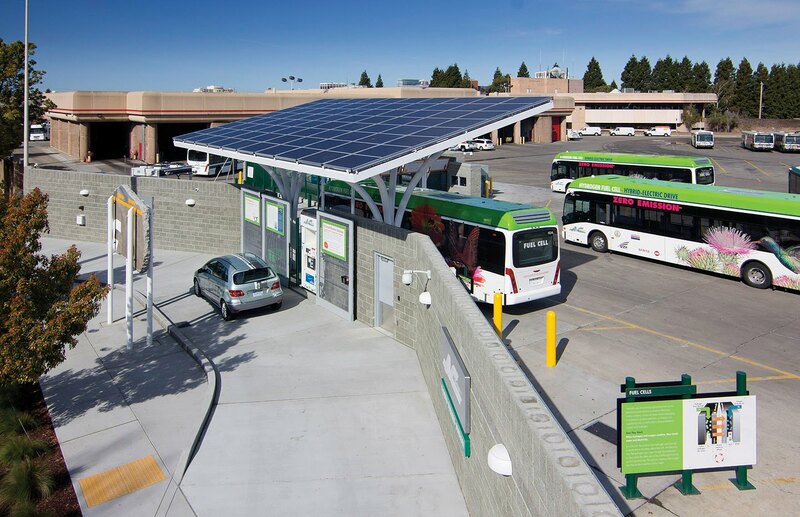 The photo (above) shows AC Transit fuel cell buses at their Emeryville CA fueling station. In 2013, a new 400 kilowatt (kW) stationary fuel cell provides distributed power to the largest operating division and a second hydrogen fueling station starts operation. Added solar power brings the total solar capacity to more than 1.4 megawatts . New third-generation fuel cell buses, each powered by a 120 kW fuel cell power system, are 5,000 pounds lighter than the earlier buses and have advanced lithium ion energy storage systems. Hydrogen tanks on the roof give the bus a range of 220 to 240 miles, and batteries recharged during braking can provide extra power for acceleration and climbing steep grades. People ride bicycles to go to work, to school, to shop, or just for fun. They have somewhere to go and they choose not to use fuel. The bicycle is one of the simplest and most energy-efficient means of transport. Energy-wise, a person on a bicycle is about five times more efficient than a jet aircraft and about three times more efficient than an automobile. Of course, the bicycle is quite a bit slower but, for short distances, it is an attractive option that provides healthy exercise for individuals who can use it. Safety is one factor that affects a person’s decision whether or not to use a bicycle. Many cities have systems of bicycle paths that make bicycling safer and more pleasant. The best systems have bike paths that are physically isolated from the automobile roadways. Bicycles may not be for every person or for every trip depending on one’s health. Cold and rain are also factors as bicyclists are usually exposed to the weather. In the United States, about 6% of transportation needs are met by mass transit (buses, trains, light rail, trolleys, etc.). In Japan, the figure is closer to 47%. This is because affordable cars have been available in America for decades and cities have evolved to accommodate cars. In most other developed parts of the world, cities were fully established with systems of mass transit long before affordable cars were available. Developing cities have the opportunity to plan ahead and minimize the need for fuel-burning cars on their roads. A good example of this sort of mass transit planning is the city of Curitiba in Brazil. The inhabitants own more cars than average for Brazil, yet they consume relatively little fuel. Five express roads for buses converge on the city. Neighborhoods are linked to these express roads by local bus routes. Regulations encourage homes and businesses to locate near bus stops. With rising concern over effects of global warming, and our growing realization that air travel makes huge contributions to CO2 emissions, high speed trains for intercity/cross-country travel are now on the table for discussion—especially since they may easily be powered by electricity generated from renewable energy sources. Buses are simple and widespread systems of mass transit. Most buses have diesel engines and contribute to CO2 emissions, like most vehicles. Make an electrochemical cell with common household items. Can you think of any reasons for the difference in the use of mass transit in Japan and the United States? A very important part of our energy future will be linked to the choices we make about transportation. Air pollution, oil spills, and maybe even the entire climate will be affected by the kind of cars we choose to drive and how we use them. Even more profound changes in the long-term sustainability of the planet will be determined by how we work together in governments and industries to develop entirely new kinds of fuels and transport systems. There are many ways to get electricity to flow, but two of them are the most common—batteries and generators. Small appliances such as watches, radios, and flashlights use batteries, which get energy from chemical reactions. Most high-power electric energy comes from generators that rely on mechanical movement of magnets and coils of wire. The first device used to detect an electric current was a frog’s leg. The Italian doctor Luigi Galvani (1737-1798) was studying the way sparks from static electricity made frog legs twitch. He hung the frog legs from a copper hook and touched them with an iron probe. There was no electric shock but the legs twitched anyway. He mistakenly thought the frog legs were releasing a mysterious electric force. His friend, the Italian physicist Allessandro Volta (1754-1827), realized the electricity did not come from the frog legs alone. The frog legs were an indicator of electricity created by the iron and the copper reacting with the moisture of the frog legs. This was something new and important. Up until then the only electric currents that had been studied were the strong but brief sparks from static electricity. Through knowledge he gained from Galvani’s accident with the frog legs, Volta developed a source of steady electric current. His invention, the electrochemical cell, is now commonly called a battery. 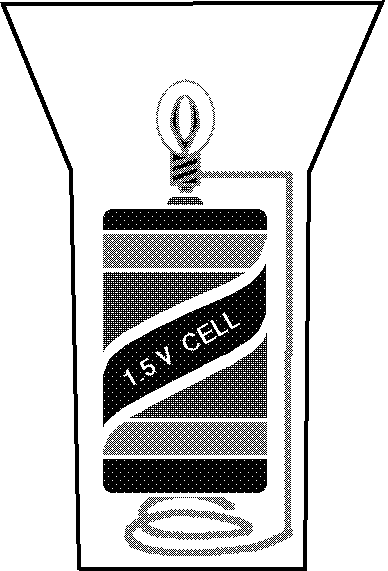 Technically, a battery is defined as two or more electrochemical cells. However, the “batteries” you typically buy in a store are just a single cell. We use batteries for small things that need very little power; or when we want the safety of low voltages; or when we do not want to plug our appliance into an electric outlet (cordless appliances). The development of advanced batteries is of great importance in the emergence of certain new technologies such as portable electronics, computers, electric cars, as well as storage of electric power from solar and wind energy systems.